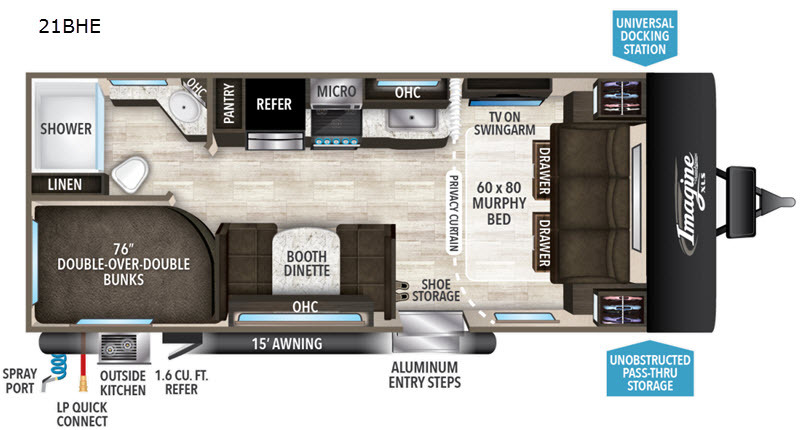 This travel trailer layout gives you a spacious living area not only during the day, but also at night. 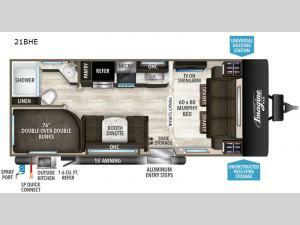 The Murphy bed, double bed bunks, and booth dinette allow for various entertaining and sleeping options. 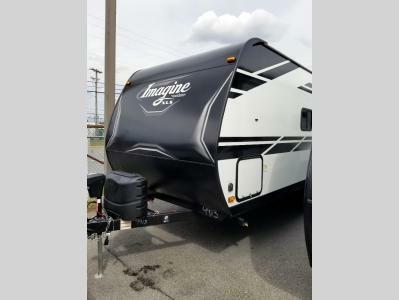 This model is perfect for the all year round camping connoisseur because of its heating system and outdoor amenities such as an outside kitchen, spray port, and electric awning. The process of getting hooked up is done quick and easy with the utility center located in the unobstructed pass-through compartment. 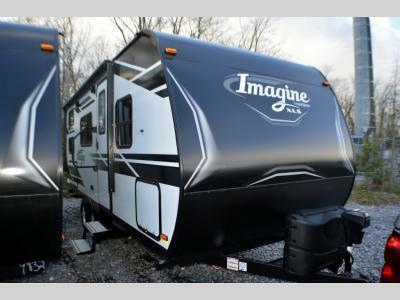 The Imagine XLS gives your family the comfort of home combined with the classic camping experience.